Regular Locus readers will have noted a recent front-of-the-book item about my recent Good News, a little daughter named Poesy, born to us on February 3, 2008. This feat of nanoengineering  mostly accomplished by my Alice, with 23 chromosomes' worth of programming assistance from yours truly  has got me thinking about reproduction, even more than usual. Mammals invest a lot of energy in keeping track of the disposition of each copy we spawn. It's only natural, of course: we invest so much energy and so many resources in our offspring that it would be a shocking waste if they were to wander away and fall off the balcony or flush themselves down the garbage disposal. We're hard-wired, as mammals, to view this kind of misfortune as a moral tragedy, a massive trauma to our psyches so deep that some of us never recover from it. It follows naturally that we invest a lot of importance in the individual disposition of every copy of our artistic works as well, wringing our hands over "not for resale" advance review copies that show up on Amazon and tugging our beards at the thought of Google making a scan of our books in order to index them for searchers. And while printing a book doesn't take nearly as much out of us as growing a baby, there's no getting around the fact that every copy printed is money spent, and every copy sold without being accounted for is money same day payday loans online taken away from us. There are other organisms with other reproductive strategies. Take the dandelion: a single dandelion may produce 2,000 seeds per year, indiscriminately firing them off into the sky at the slightest breeze, without any care for where the seeds are heading and whether they'll get an hospitable reception when they touch down. And indeed, most of those thousands of seeds will likely fall on hard, unyielding pavement, there to lie fallow and unconsummated, a failure in the genetic race to survive and copy. But the disposition of each  or even most  of the seeds aren't the important thing, from a dandelion's point of view. The important thing is that every spring, every crack in every pavement is filled with dandelions. The dandelion doesn't want to nurse a single precious copy of itself in the hopes that it will leave the nest and carefully navigate its way to the optimum growing environment, there to perpetuate the line. The dandelion just wants to be sure that every single opportunity for reproduction is exploited! Dandelions and artists have a lot in common in the age of the Internet. This is, of course, the age of unlimited, zero-marginal-cost copying. If you blow your works into the net like a dandelion clock on the breeze, the net itself will take care of the copying costs. Your fans will paste-bomb your works into their mailing list, making 60,000 copies so fast and so cheaply that figuring out how much it cost in aggregate to make all those copies would be orders of magnitude more expensive than the copies themselves. What's more, the winds of the Internet will toss your works to every corner of the globe, seeking out every fertile home that they may have  given enough time and the right work, your stuff could someday find its way over the transom of every reader who would find it good and pleasing. After all, the majority of links between blogs have been made to or from blogs with four or fewer inbound links in total  that means that the Internet has figured out a cost-effective means of helping audiences of three people discover the writers they should be reading. So, let's stipulate that you want to reproduce like a dandelion and leave mammaldom behind. How do you do it? 1. Your work needs to be easily copied, to anywhere whence it might find its way into the right hands. That means that the nimble text-file, HTML file, and PDF (the preferred triumvirate of formats) should be distributed without formality  no logins, no e-mail address collections, and with a license that allows your fans to reproduce the work on their own in order to share it with more potential fans. Remember, copying is a cost-center  insisting that all copies must be downloaded from your site and only your site is insisting that you  and only you  will bear the cost of making those copies. Sure, having a single, central repository for your works makes it easier to count copies and figure out where they're going, but remember: dandelions don't keep track of their seeds. Once you get past the vanity of knowing exactly how many copies have been made, and find the zen of knowing that the copying will take care of itself, you'll attain dandelionesque contentment. 2. Once your work gets into the right hands, there needs to be an easy way to consummate the relationship. A friend who runs a small press recently wrote to me to ask if I thought he should release his next book as a Creative Commons free download in advance of the publication, in order to drum up some publicity before the book went on sale. I explained that I thought this would be a really bad idea. Internet users have short attention spans. The moment of consummation  the moment when a reader discovers your book online, starts to read it, and thinks, huh, I should buy a copy of this book  is very brief. That's because "I should buy a copy of this book" is inevitably followed by, "Woah, a youtube of a man putting a lemon in his nose!" and the moment, as they say, is gone. I know this for a fact. I review a lot of books on Boing Boing, and whenever I do, I link to the Amazon page for the book, using my "affiliate ID" in the URL. If you follow one of those links and buy the book, I get a commission  about eight percent. I can use Amazon's reporting tool to tell exactly how many people click on my links, and how many of them shell out money for the book, and here's the thing: when I link to a book that's out soon, available now for pre-order, I reliably get less than ten percent of the purchases I get when I link to books that are available for sale now. Nine out of ten Boing Boing readers who buy books based on my reviews don't want to pre-order a title and wait for it to show up later. In my next column, "Macropayments," I'll write more about this consummative act, for this is the key to enduring success as a dandelion. Here's the gist: expend less effort trying to ensure that small sums of money are extracted from your fans for individual copies of your work, and focus instead on getting larger payouts, making each germination count for something more than a buck's royalties. This would be a great business strategy if artists were as prolific as dandelions...but the gestation period of most works of art is more akin to the long, painful mammalian experience than that of a common weed. A garden full of weeds isn't a real big breadwinner at the farmer's market. You need to sell something that took a little longer to cultivate. And, in an un-thought-through extension of the dandelion metaphor, when my son trashes all the clock-bearing dandelions on our country hike he is unwittingly serving each dandelion's reproductive process. Not to mention all the goosegrass that is tossed around and transported on the back of our clothes. See, nature really does have an answer for everything. Historically, many men have thought and swung like dandeliae, sowing their seed in any womb that wasn't up the tree fast enough. Some paid dearly for it. Others didn't. I think you misunderstand Cory's analogy. While the work itself is precious (albeit that is not true of all modern art) the copy of the work is not. When the only way to distribute a novel was to print a lot of copies of it on paper, bind the pages together and sell the books in stores you had to recover a lot of costs besides your own cost of making the original novel. Now, more or less all you have is the cost of your creative process, since copying is next to free (hence the dandelion metaphor). And on the cost of the creative process you have to face the competition, since there maybe a guy on the next corner of the net writing just as well as you and maybe he doesn't price his creative effort as much as you do. Barry, you got your metaphor backwards. The gestation period is the time it takes to COPY not to produce (if you were going to extend the metaphor to THAT, you might call the time it takes to produce the work as the thousands of years of dandelion evolution). You make it sound like something that can be copied easily and cheaply is inherently less good than something that cannot be. Which is not true. Also, it's funny that you talk about dandelions as "a common weed" and compare similarly released media as being "common." It's funny, because the implied pretentiousness of that statement (that something is only good if it's it's hard to find) is a pretty good summary of the misguided philosophy of people who cling to old media distribution models. Making your art common does not make it any less good. Making your art something only a select few people (like, people who pay for it) can see, does not make it any more good. Beyond that, it's an issue of HOW you monetize--which is a whole different can of worms--but to say the dandelion model is inherently inferior to forced scarcity (and should only be reserved for crappy content) is silly. I would love to hear your thoughts on the "ransom" method of book selling. One of my favorite RPG authors Greg Stolze uses it to get his work out and it seems to be working well for him. He's using fundable to ransom the work. The gist of it is that you publicize a work and say that the world at large needs to raise X dollars to get this product released. Once the money is raised the work is free for everyone. A someone said after reading my book, I see where I went wrong. I posted chapters of my book online in advance of publishing it, hits on my site peaked right before publication. So there was a brief flurry of purchasing around the publication date and then it quickly tapered off. I'll definately keep this in mind with my next book. This is a really engaging analogy: let go of your stuff! However, dandelions will always be dandelions: blow a seed clock to pieces and each seed will magically turn into... a dandelion. Stuff outside nature isn't like this - there is no art / IP DNA that guarantees its perpetuation. Whether this matters or not, I'm not sure. "Making your art something only a select few people (like, people who pay for it) can see, does not make it any more good." All of this talk about distribution models seems to ignore the basic truth that distribution was never intended as a way to give everyone things...it was intended to get everyone to part with their hard-earned pesos. The question of "who profits?" gets brushed aside as if it were a separate issue from distribution, but it is not. The fact is, the whole dandelion argument is a misleading metaphor. Dandelions are only concerned with reproducing themselves...they don't give two figs about the health of the dandelion that seeded them. But in the real world, artists and musicians are not reproducing themselves, they are reproducing the fruits of their labors, in hopes that people will see merit in their art and feed them. Artists don't get a free lunch. Why should those who consume their work? Every talk I have seen advocating open-source and free distribution models tends to get a little vague when discussing just how creators are supposed to profit from giving away their stuff. There seems to be a implicit assumption that fame leads to fortune...but this is not at all a given. Thus far, the only freebie distribution model I have seen that actually serves their creators in the wild is the pushers' "you get the first one for free" approach. Honestly, I don't see why this is even thought of as a novel idea. Yes, you can become very popular by giving stuff away. Just like a dandelion. You know what the difference between a pizza and a creative commons artist is? A pizza can feed a family of four. Distribution and compensation are separate issues. The model we currently have is only about 300 years old. Before that a writer would have his work purchased by a publisher, or sometimes sponsored by them in the first place, and then lost all monetary rights to it. The writer received the credit for the creativity, but the person putting up the money for the scribes to copy it by hand, or later on the printing presses, would get the profit for selling the book. As reproduction got cheaper the middlemen became less important and royalties allowed the writer to receive more compensation. Now with reproduction of the work effectively free the money will go directly to the writer, but the old model of royalties doesn't work as well because of the inherent issue that you can't stop data from being copied. Essentially the type of distribution has driven the method of compensation throughout history. The challenge now is to find an effective way to compensate writers, or artists in general, for the work they create, while allowing it to be copied freely as our distribution allows. It is true that open-source advocates can get vague at this point, but that is precisely because this is all new and we have to find out what works. There are a lot of ideas out there and some people are already quite successful. 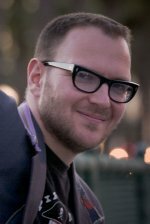 You need look no further than the writer of this article Cory Doctorow, although admittedly he is a bit of a hybrid and uses some old and new methods of compensation. The basic idea is that we have to continue to pay artists without paying for a specific piece of work they produce every time it is copied and viewed by someone. You can argue that this is not practical, but at the end of the day it is impossible to stop the data from being copied without eviscerating modern technology. Are you implying that Cory isn't feeding his family? That doesn't seem to be the case. Your argument ignores the fact that many people ARE making a living giving stuff away for free. Not just Cory, but Jonathan Coulton, Decoder Ring Theater, and many others. Just because you cannot see how it works doesn't mean it doesn't. The problem with the Ransom model is exactly what Cory mentioned in this article: you have to pay sight unseen, in advance, for something that will (hopefully) show up later. The average impatient consumer won't do that. Worse, it's a risk - what if the author decides not to go ahead with the novel after all? What happens to the money you paid? P.S. I'm reffering to the standard Ransom model here. From Greg Stoltze' website I can't easily tell if he's using the standard model or some variant. The dandelion simile is a complete red herring except in that the indiscriminate distribution of seeds bears some passing similarity to the indiscriminate distribution of free content on the Web. But so what? It has nothing to say on the subject of how an artist makes a living from their art. Dandelions feed themselves with their roots and leaves, not by selling their children. Giving stuff away may raise your profile. It may get you an audience. It's not likely to, for most people, but it might. Once you have a profile, sure, you can make money as a guest speaker, or a columnist, or an Amazon affilliate, but you could make money in a million other non-artistic ways too without ever producing any art at all. Most artists are trying to get away from all that, not rushing to embrace it. If, by giving your stuff away and other profile building activities, you are in a position to leverage your fame into actual book sales, that's great, as long as you want profile building to become a major part of your life. I'm afraid I remain unconvinced as to what thinking like a dandelion can offer me. I don't think what's being offered here is a strategy for success, it's a strategy for helping yourself feel better in the face of the inevitable. I am a programmer and a musician, and I realize all too well what the implications of free replication are. But I also am not so naive to believe that when I provide digital copies to the world that I can somehow prevent the end user from distributing it to everyone else for free if they think it's worth sharing. This is a reality we have to accept and come to terms with, and if thinking like a dandelion helps, then, i'm for it. Maybe the world needs to be rid of those that pursue art simply for profit and instead do it for the love of the work itself. Maybe a lot of what's out there "professionally" is crap, artifically force fed to us by our distribition systems. Does anyone really think that the best artists always are the most successful? I don't think that's the case otherwise "toil in obscurity" would be alot less common! I personally am going with the dandelions.